Who doesn’t love doing good while shopping? Stray Cat Social Club (SCSC) does just that. 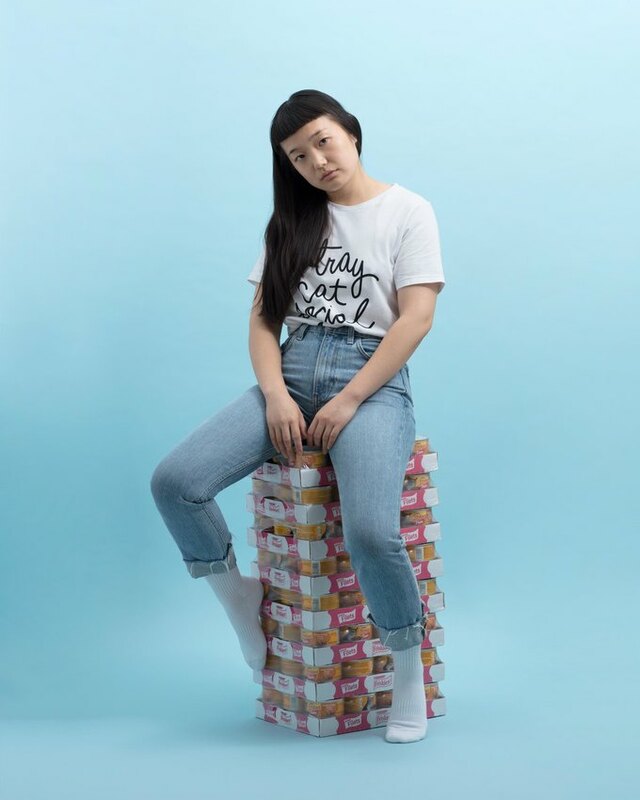 The new brand, run by husband and wife duo Scott Bleicher and Jayda Chi, boasts a line of unique kitty-inspired apparel designs. Profits from the contemporary brand help fund the couple’s true passion: rescuing stray cats and raising awareness about the issue of feral cat overpopulation. The Bushwick brand made its official debut through its website launch in September. 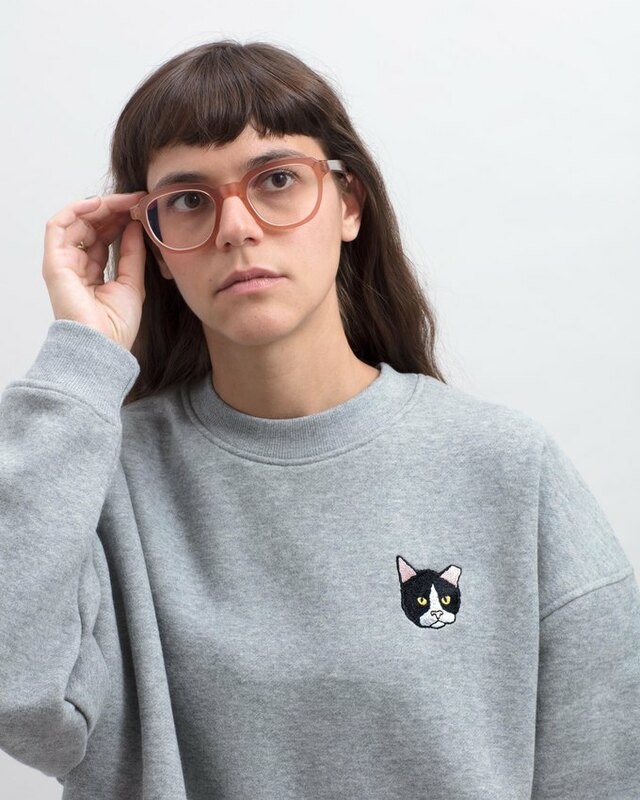 Its first collection offers a handful of modern cat-inspired designs emblazoned on apparel items like tshirts, sweaters, hats, totes, and pins. 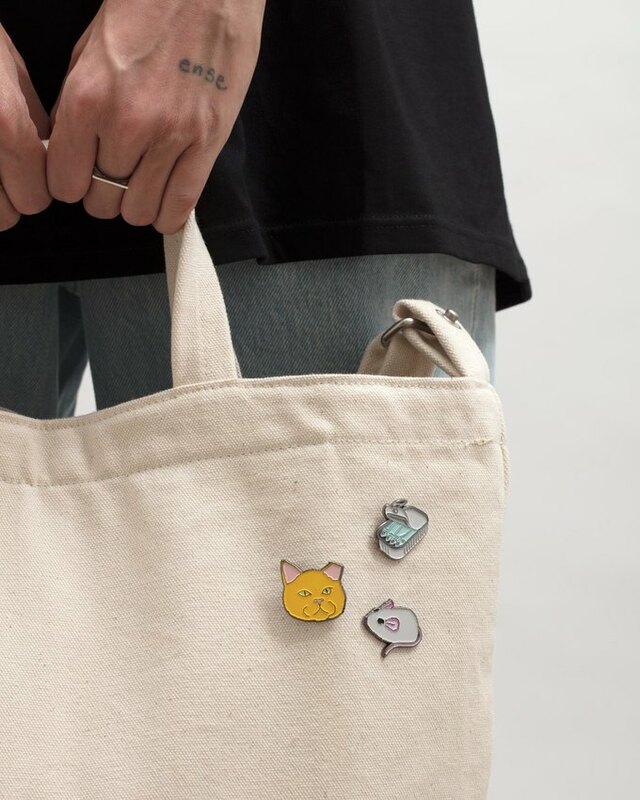 What’s unique about SCSC is its identity as a “cat advocacy brand.” A peek at their Instagram shows that their apparel business is promoted through regular posts while updates on their rescue work can be viewed through their stories. 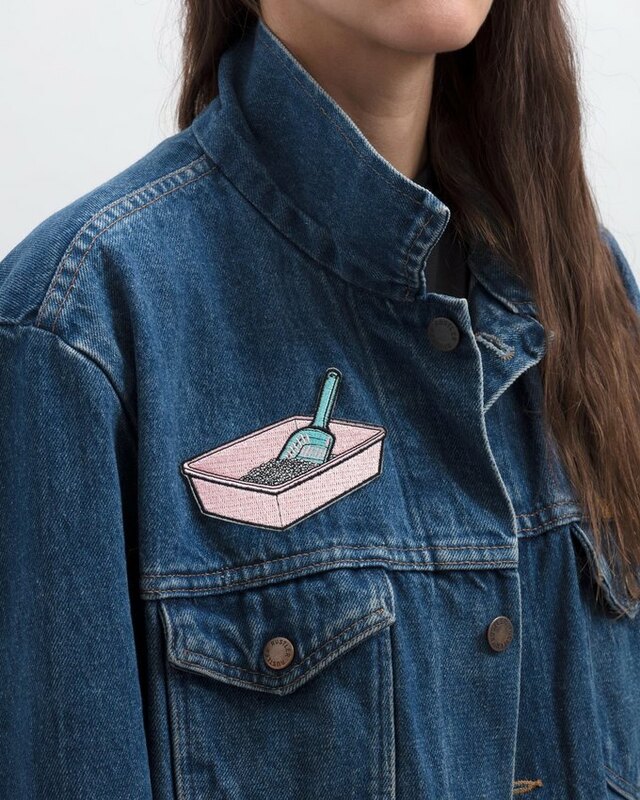 Bleicher also describes the SCSC aesthetic as a hybrid, mixing the quirkiness of brands like Lazy Oaf with the more polished look of Acne Studios. The brand’s most popular selling item so far? “Anything with the tuxedo cat, really! People seem to love him… maybe because he’s black and white, very binary, and graphic,” Bleicher theorized. 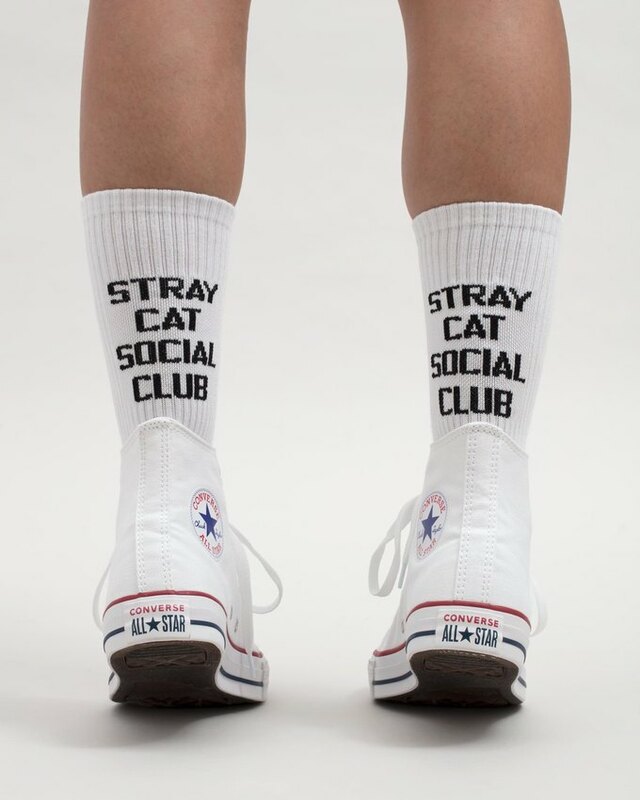 SCSC’s aesthetic evokes the fun contemporary feel obviously meant to pull in young urban consumers, but the social impact of the brand’s advocacy work is something that cat lovers will especially gravitate toward. Bleicher and Chi are longtime Bushwick residents who have been involved in the local cat rescue community for almost nine years. 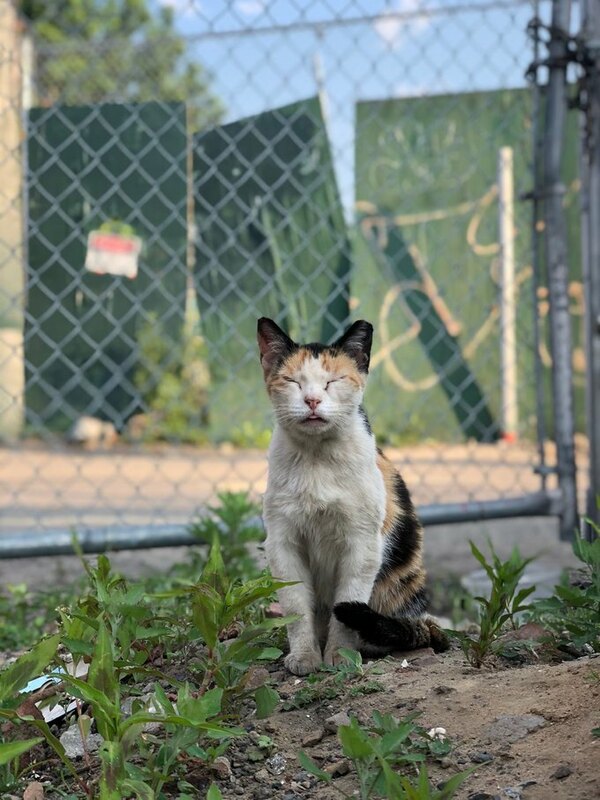 In 2016, Bushwick Daily covered the story of one of their rescue cats named Cecile, who they were trying to raise funds for. 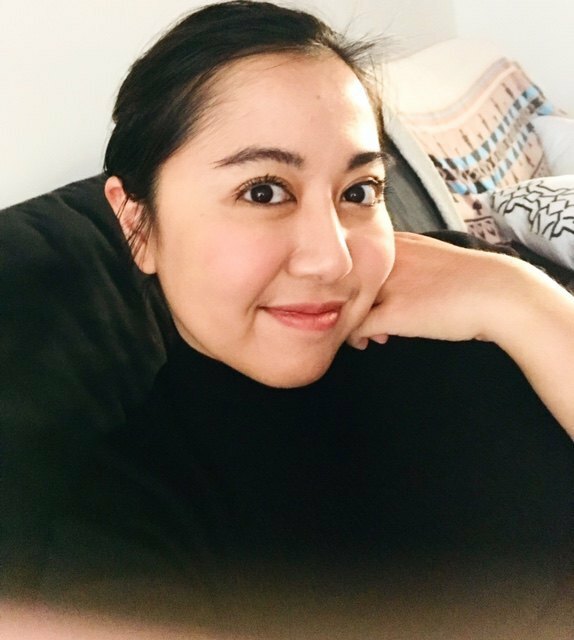 Bleicher said that Cecile is now living the good life with a loving family in Connecticut. According to the SCSC website, Cecile was just one of an estimated 70 million stray and feral cats that exist in the US; 3 million more go into shelters every year. Those are large numbers. What’s even more enlightening, it turns out there is a big difference between stray cats and feral cats. Cats who have been formerly domesticated, like lost or abandoned pet cats, are considered strays. Feral cats, however, are cats that were born wild outdoors and are not accustomed to interacting with humans. Popcorn receiving a daily meal from SCSC. On top of its rescue and education efforts, SCSC also manages a handful of cat colonies around Brooklyn. Bleicher, who juggles his feline passions with his job as a visual and media director for a start-up, visits the colonies once a day for daily feedings and shelter maintenance. These shelters and feeding stations are mostly located in safe, enclosed environments, many of which have human residents who are aware of the colonies living nearby. Before SCSC came in, one colony next to a local warehouse had issues of overpopulation. SCSC performed TNR (the practice of trapping stray or feral cats so that they can safely get spayed and neutered) on the warehouse cats; the cats are now one of five colonies under SCSC care. 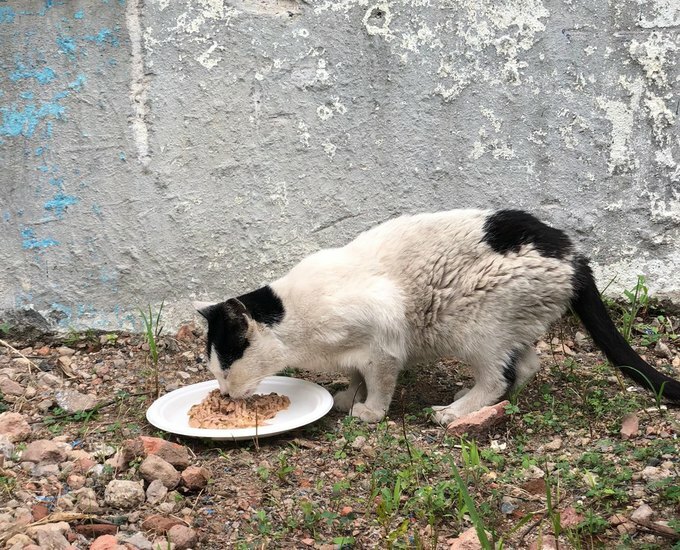 “It is work but it also just feels really great whenever you can help this little guy out on the street, seeing him scared and hungry, and eventually get him in somebody’s forever home. To see them flourish and thrive, be happy, warm, and comfortable,” Bleicher said. As for his own litter, Bleicher and his wife share a duplex home with their four-month-old baby, cheekily named Calico, and 10 cats of their own. Not everyone has the means to devote themselves like SCSC has and it takes a village, Bleicher admits, to find these cats loving homes. 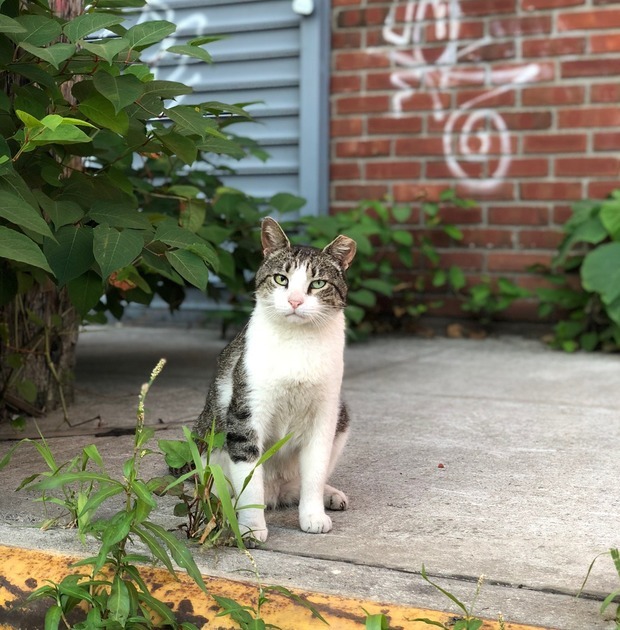 SCSC works with a number of local nonprofits, namely Bushwick Street Cats, Flatbush Cats, and TNR Utopia, that people can get in touch with when they see a cat in need. “There’s a bunch of little roles you can do to be helpful…. Just finding a cat on the street that needs help and not just walking by and forgetting about it. Just take that next step and contact somebody about it. And you’ll feel good that you did a little part to help out this little guy, too,” Bleicher said. All images courtesy of Stray Cat Social Club. Cover photo cat's name is Blue.